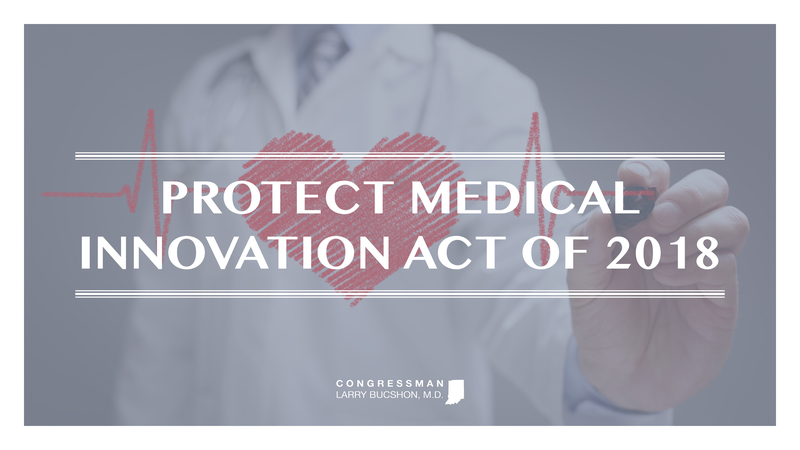 Dr. Bucshon Adamantly Supports Complete Repeal of the Medical Device Tax | U.S. Congressman Larry Bucshon, M.D. “As a physician, I understand the vital importance the medical device industry plays in healthcare, and I routinely used innovative medical devices in the operating room to help save the lives of my patients. Indiana has a robust medical device industry with more than one hundred businesses employing 20,000 Hoosiers in high-paying jobs. When implemented in 2013, the job killing medical device tax caused companies in Indiana to halt investments in innovation and expansion, and ultimately to hire fewer employees. The Consolidated Appropriations Act of 2016 temporarily suspended the tax for 2016 and 2017. The Making Further Appropriations for the Fiscal Year ending September 30,2018 extended the suspension for another two years, 2018 and 2019.